Are you in Anna, TX? Do you need a Locksmith? 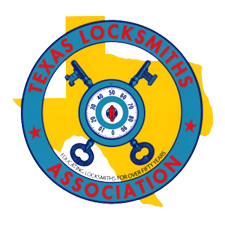 We are a local Locksmith company, serving the area in and around Anna, TX. Anna Texas is Collin County's fastest growing cities. Here, more and more houses are being built and people are moving in and accidents can easily happen. Contact us if you are locked out or need the hardware for your doors changed to another finish or an upgrade for your hardware. We are local so you can be sure that we can get to you fast anywhere you are in Anna, TX. We are your go -to Locksmith for the Anna area, with great prices and a local face you can count on. You can rely on us for all of your locksmith services you need. We truly know how important it is for our customers to receive the best service they can get from a team that has this as their first priority. Anna, TX is a town with a small-town vibe and we offer the type of locksmith service where you get a one-of-a-kind attention and quality work along with it. We take our time with each customer, really listening to what their needs and concerns are and try our hardest to not only give them what they expect but exceed that. Anyone that needs some type of Locksmith services usually is wanting that service promptly. This is one of the advantages of calling a company that is actually local and in your neck of the woods. Most companies online advertise as if they are located in Anna TX but really can be 30-40 miles away. That only means one thing: it will take time to get to you - so why wait? Also, by traveling the long distance to give your service means you end up paying more because of that travel time considering the mileage and gas. That is not the case with Lone Star Locksmith. We are conveniently located less than 4 miles away from Anna, TX. Rest assure whenever you need us we can be there quickly!